Creating a relationship of trust with the visitors that go to your website is not easy. It takes time and a lot of work. One important thing is to always offer great service. The other is to create a website that gives your visitors the impression they should trust you. Not only will an effective domain name be beneficial for search engine optimization, but it will also help create that sense of trust you want with your visitors. A good domain name helps with your company’s reputation and, in the eyes of visitors, professionalism. For example, a domain name like www.pierredurand.com, appears more professional than: www.pierre-durands-web-site.webself.com. At WebSelf, we offer a free domain with all Pro and Business plans which is another great reason to upgrade. The use of an SSL (HTTPS) certificate will increase your visitor's sense of security. It’s likely that people will feel more comfortable providing information or shopping if your website is secure. Please take note that all WebSelf sites are converted to HTTPS. 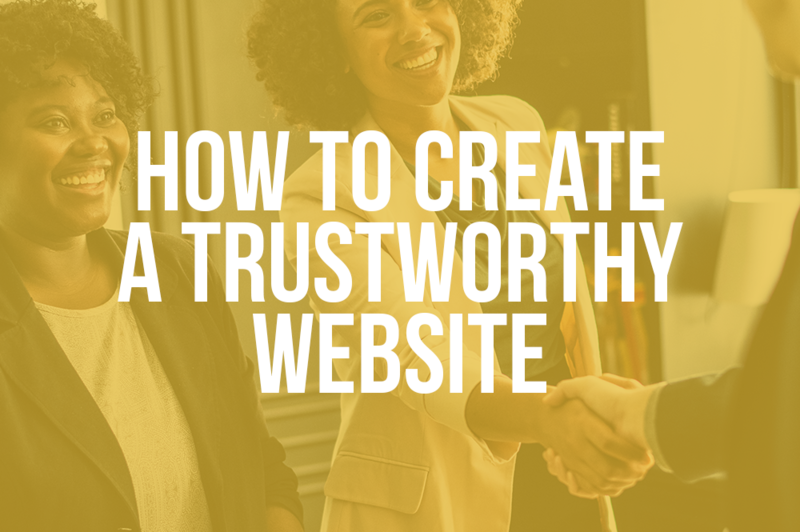 Several design elements can generate trust with your website’s visitors, but in general, a simple and straightforward web page will do the trick. Your best bet is to choose a more neutral palette and add some color accents. If you decide to use neon colors, it will make your site look younger. Stay as simple as possible with your word font choices. Consider simple sans-serif fonts like Raleway, Montserrat or Droid Sans, and keep the number of different font types down to three. For a professional look, simplicity is the best approach. Something to consider, for those who want to push the design a little further, investing in a quality brand image will greatly increase the reputation of your business. Testimonials and comments from satisfied customers are very beneficial when wanting to win the trust of your visitors. If you show your visitors proof that you have satisfied customers, they will know you can be trusted. Post the testimonials of satisfied customers in a section on your homepage so that it can be seen by everyone when they arrive. Or you can dedicate a full page to satisfied customers - they are your best advertisement. There’s nothing worse than spelling errors on a website to lose credibility. 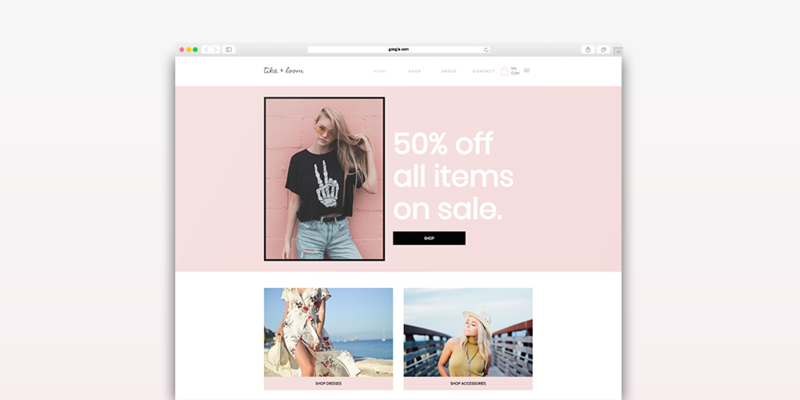 Your website is a showcase for your business, accessible 24 hours a day and to everyone, so be sure to present your best self. Take the time to write your texts and make sure you review them several times. If possible, have your texts reviewed by other people. With all the writing and editing tools available on the web today, you have what you need to write the best texts. Don’t forget that you are human and you make mistakes. If you make a mistake on your website it is possible at any time to edit your writing in just a few clicks with the WebSelf editor. After going through your website, your visitors may have some questions about your business or service(s). 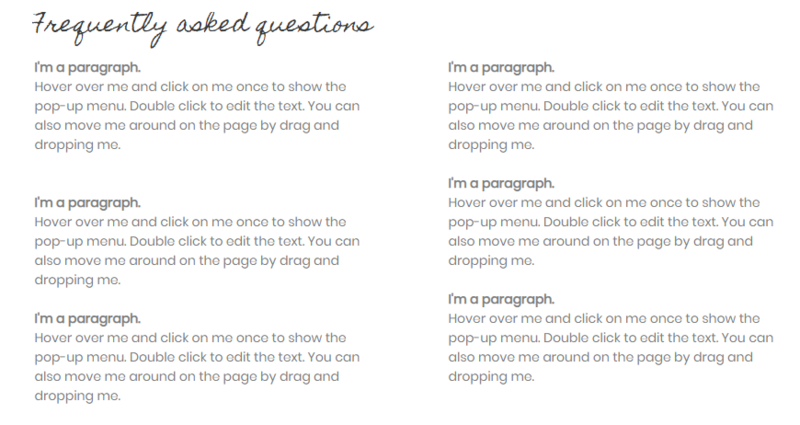 By having a Frequently Asked Questions page and a clearly visible contact form, you ensure your visitors that they will have an answer to their question(s) in turn saving you a lot of time. That’s it, you now have all the tools you need to build a trustworthy website.